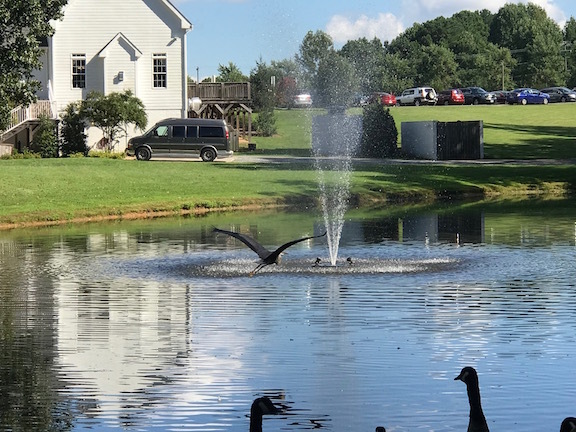 For the past few days, we’ve been hosting a great blue heron in our pond! 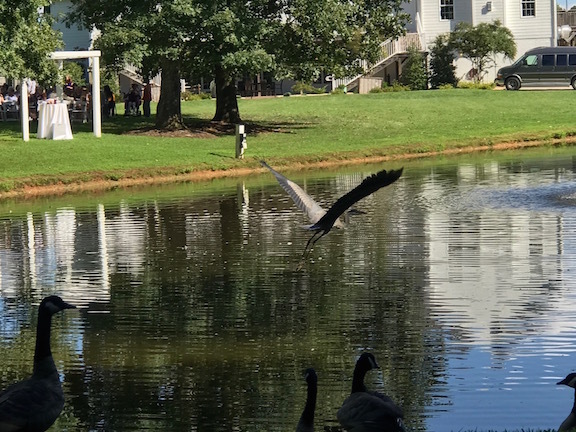 I get so excited every time the heron visits us because he’s such a beautiful and graceful sight. I’ve tried a bunch of times to go out to the pond and snap a picture, but I haven’t had much luck. 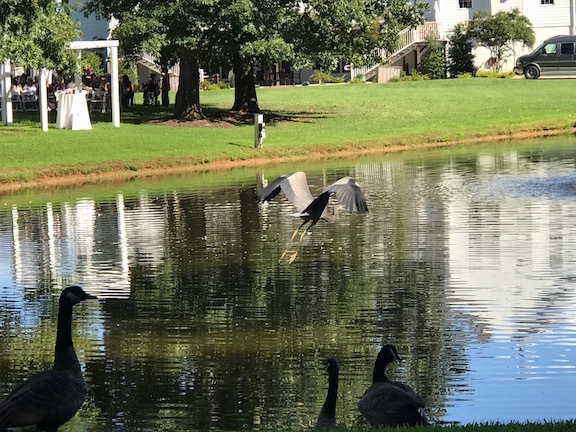 This past weekend, though, right before a wedding ceremony was about to begin, I received a text message from the wedding coordinator letting me know the heron was back! I speed-walked past the ceremony pergola and made it to the arbor near the Riddick House. 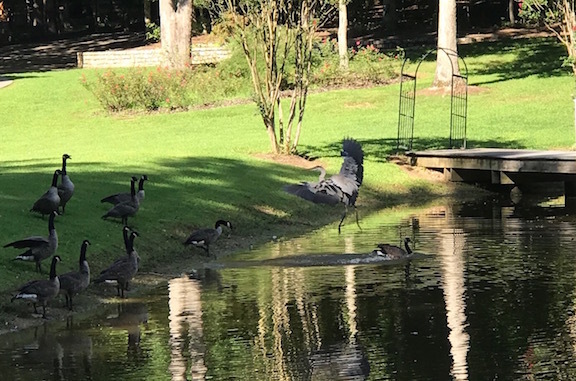 I did my best to get a decent picture of the blue heron, but he kept running away. Please keep in mind, the entire time all the guests from the wedding were looking at me, probably waiting for me to fall in the pond! After a few minutes, I did it! I captured a few beautiful shots using only my phone–all before the ceremony started! What an adventure!